Keesaragutta Temple is located in the Keesara village. Also called Ramalingeshwara Swamy Temple, it is dedicated to Lord Shiva and his companions Bhavani and Siva Durga. Situated on the top of a hill in the Rangareddy district, this temple attracts a huge number of devotees every day. 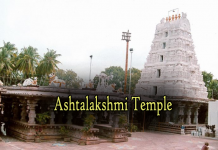 Also known for its architectural importance, this temple is an ideal place to visit for a weekend trip from Hyderabad. At a distance of 24 km from Nampally Railway Station & 18 km from Golconda Fort, Chilkur is a small village on the banks of Osmansagar that houses famous 500 Years old Sri Balaji temple. This is one of the most popular tourist places in Hyderabad. 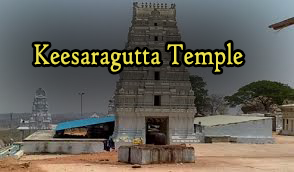 Keesaragutta Temple is a Hindu temple dedicated to Lord Siva and his consorts Bhavani and Sivadurga at Keesaragutta in Rangareddy district. It is about 40 km from Hyderabad and 10 km from ECIL. It is located on a small hillock. The temple draws thousands of devotees on Shivaratri. The presiding deity of the Temple is Sri Ramalingeswara Swamy accompanied by Sri Bhavani and Sri Shiva Durga. The temple is recently renovated. Around this temple, there are a number of ruined shrines in the Gupta architecture of fifth century. There are scores of meter-high lingas the phallic symbol around the main deity. To Hindus, these lingas signify life and fertility. The base of these lingas is set in a base structure that signifies the womb. A nice park is laid down recently at bottom of this temple.